Posted on June 16, 2015 by Hawaii's Local Buzz. Whether you have high blood pressure and are trying to reduce it, or your blood pressure is within normal limits and you’re trying to keep it that way, the foods you eat can have a profound effect. Studies show that including honey in your diet could help keep blood pressure under control. A study published in 2012 involved giving rats raw honey over a 12-week period, and measuring their blood pressure throughout this period. The researchers found that after the 12 weeks of honey supplementation, the rats’ blood pressure readings had gone down. Additional studies are indicating that these results probably do translate to humans. How much honey do you need to eat to reduce your blood pressure? About 1 – 2 tablespoons per day should be sufficient. Keep in mind that you should not use honey in place of your doctor’s recommended treatments for high blood pressure, but rather in addition to them. Also, be sure you’re using pure, unpasteurized honey, like our raw honey from Hawaii. Processed, heated honey won’t likely have the same effects, since it will be devoid of certain vitamins, minerals, and enzymes. Honey does not just help with blood pressure either; it can make your blood healthier in general. 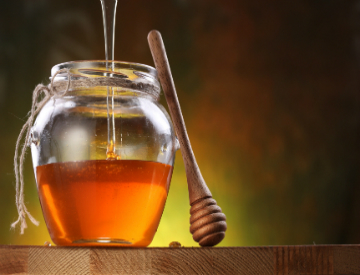 In one study, people were given honey daily for 2 weeks. At the end of the 2-week period, the levels of antioxidants, serum iron, and B-carotene in their blood had increased. It is likely that these changes are directly related to, and perhaps the cause of, the blood pressure changes that occur when someone starts eating honey. Our raw honey from Hawaii is good for your health and for your taste buds. It’s never heated or pasteurized, and it comes to you directly from our family farm. Visit the Hawaii’s Local Buzz website to order some today.